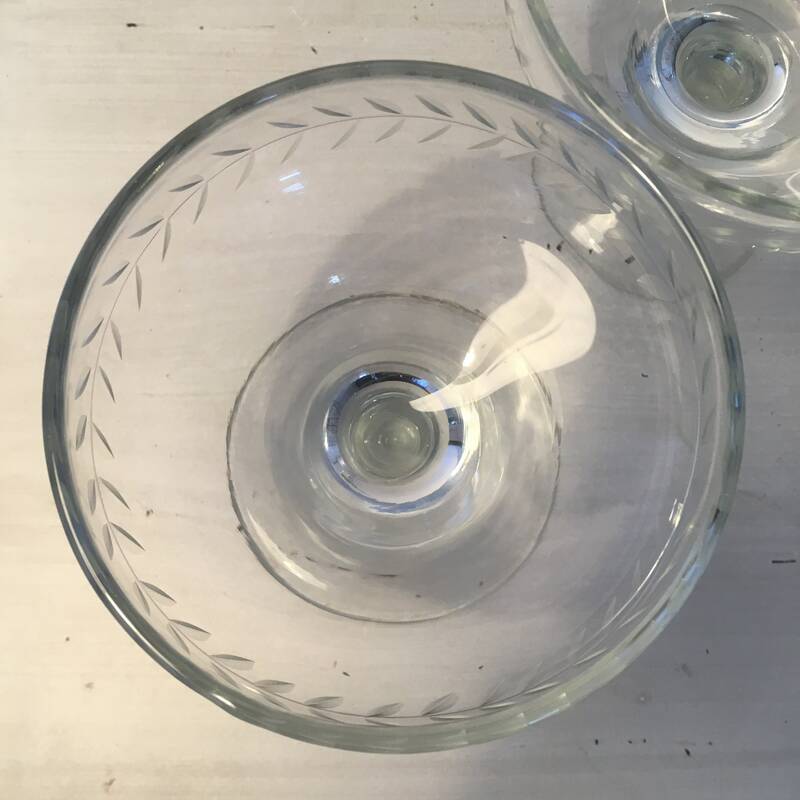 Very pretty etched glasses, with a laurel design around the rim - perfect for toasts this Christmas & New Year. 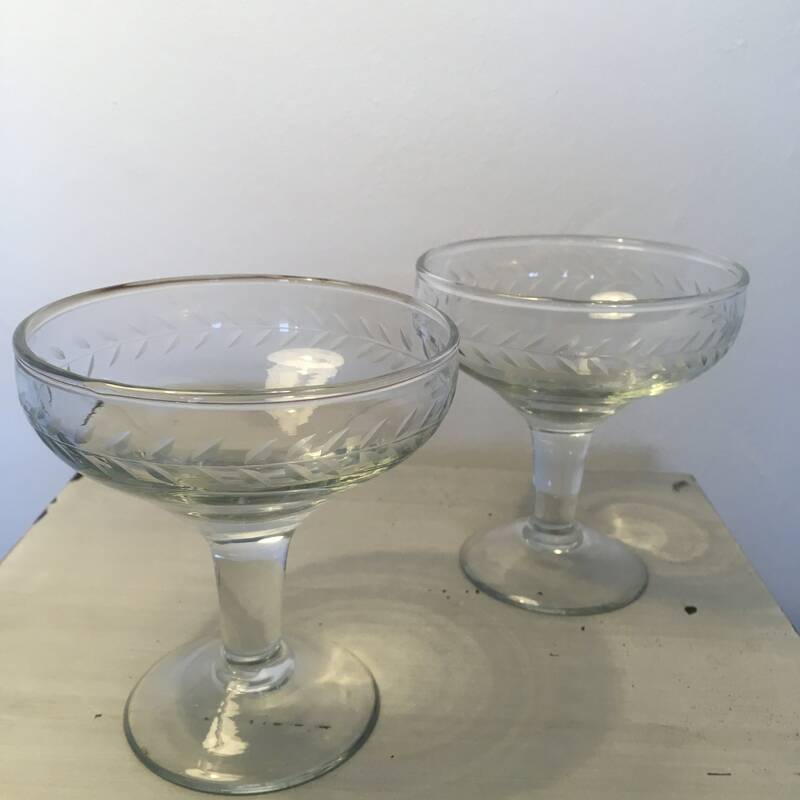 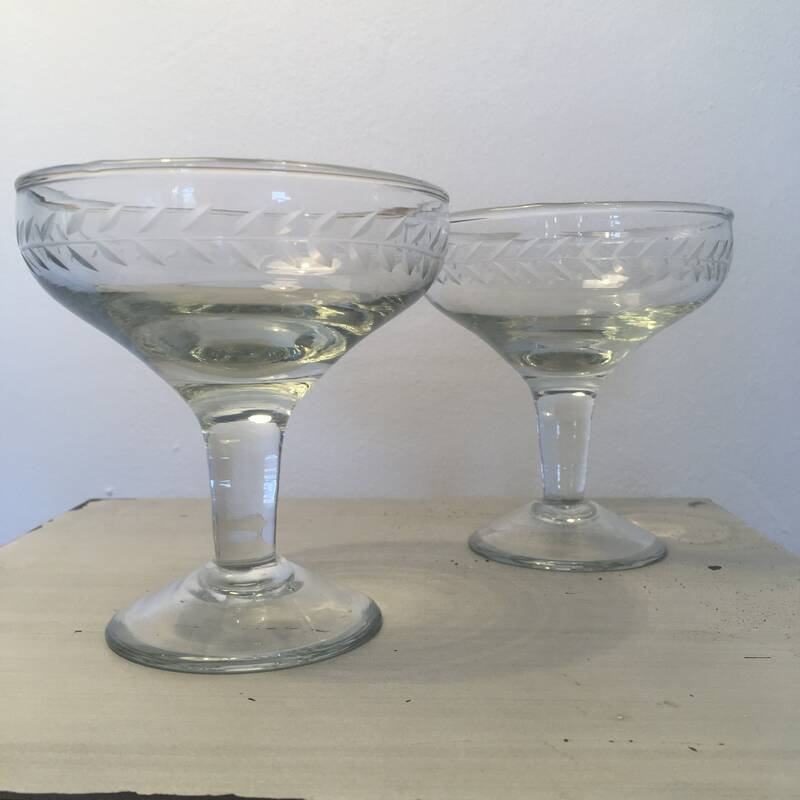 Beautifully-shaped, these elegant coupe glasses would be a beautiful gift for any champagne or prosseco lover. 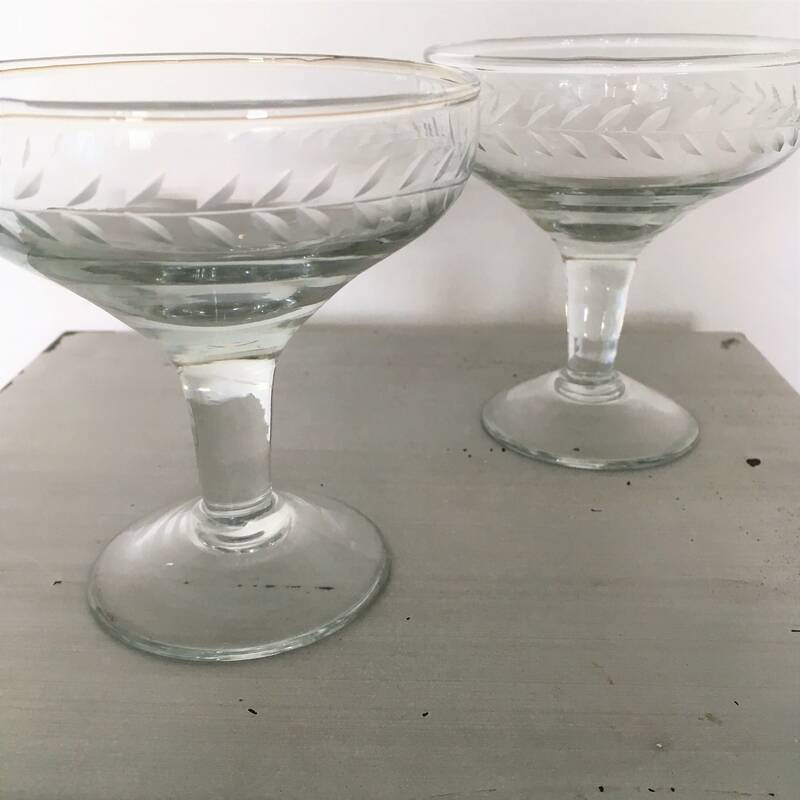 Price is for two glasses.